Do you find yourself breaking out in a cold sweat whenever you’re faced with a boardroom full of expectant faces? Do you detest public speaking and presentations? 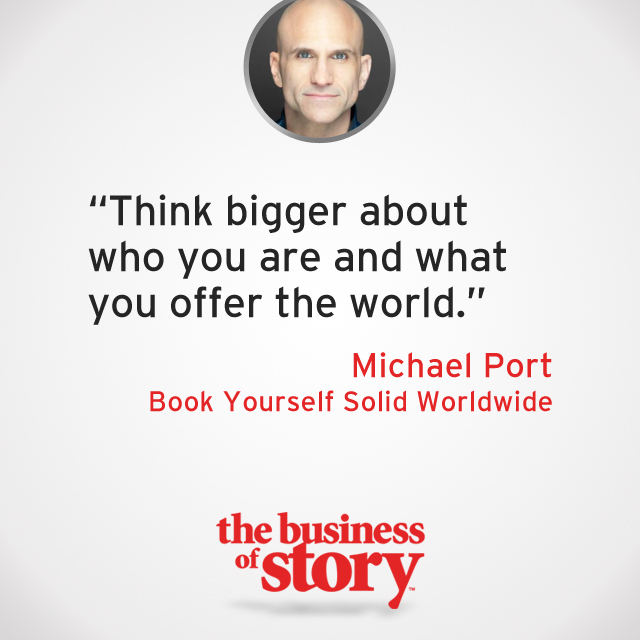 Labeled “a public speaking phenom,” New York Times and Wall Street Journal bestselling author, Michael Port joins the Business of Story podcast to shed some light on a professional actor’s approach to business storytelling. Michael’s story involves his unique application of the acting experience to his coaching work, assisting speakers and business leaders around the world to craft and deliver their stories. He hasn’t earned the title of “best public speaking coach in the world” for nothing. Michael is the author of six books and has been featured in the Boston Globe, the Wall Street Journal, MSNBC, PBS, and more. He and his partner/wife have even created an online paradise of public speaking resources, HeroicPublicSpeaking.com, where they offer courses, materials, access to keynotes and lectures, and a whole host of tools to help students, business leaders, and speakers the world over reach their fullest public speaking potential.